If you have many movies in "Digital Copy" format which is the backup file of your Blu-ray /DVD disc, have you realize it that it can be changed to be played on other devices without any limitation? Many of you may transfer your BD/DVD digital copy to Mac for playing on iTunes. But how can you play the movie on Android devices since the digital copy that has been transferred to iTunes are limited to be played through five Mac computers and Apple devices? 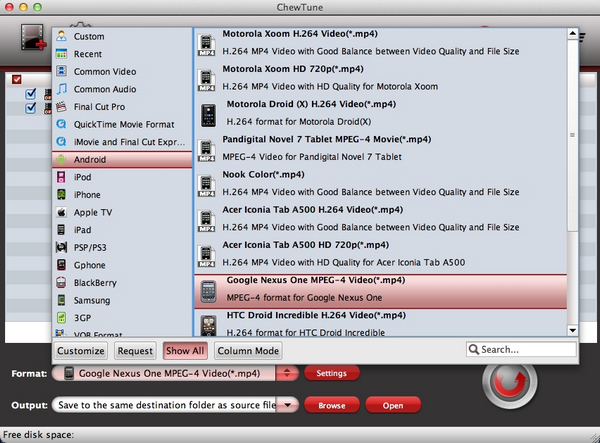 Pavtube brings the ChewTune for Mac software, the BD/DVD digital copy to Android converter that converts BD/DVD digital copy to Android devices on Mac. Besides, Pavtube ChewTune for Mac can also convert iTunes videos that have been purchased. Guide: Convert Digital Copy to Android tablet or smartphone on Mac. Install Pavtube digital copy to Android Mac converter to your Mac computer. Make sure the digital copy has been transferred to your Mac hard drive before the conversion. 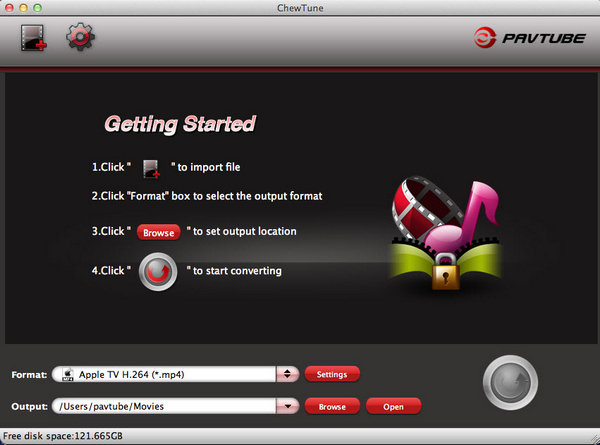 Step 1: Run Pavtube ChewTune for Mac, drag and drop digital copy movie to the software. Step 2: Select an Android friendly format, e.g. H.264 .mp4 for conversion. There are optimized format for Galaxy Tab, Xoom, HP Touch Pad, Acer Iconia Tab, Eee Pad Transformer etc. Basically the “Common Video”>> “H.264 Video (*.mp4)” is a compatible format for Android tablets and smartphones. Step 3: If necessary, you can also change the profile settings to fit your Android devices. Just click the settings button and the video and audio parameters can be changed with simple clicks. Step 4: Click the big Convert button to transcode BD/DVD Digital Copy to Android tablet/phone supported videos. After that, you can enjoy digital copy movies on Android devices freely. And Pavtube provides you ChewTune for Mac+ iMedia Converter for Mac bundles special offer with which you can convert all kinds of Blu-ray/DVD and video files on Mac to various formats for different devices or programs. Only $75, you can save $19 from purchasing the bundle.